The San Jose Police Department is making a huge push to attract more officers from the LGBT community. 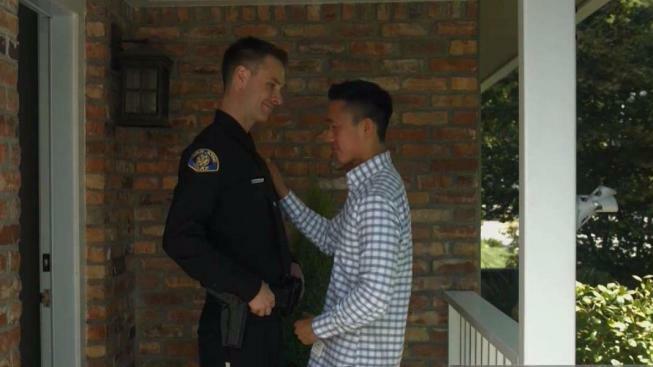 San Jose's police chief hopes a new promotional campaign features videos and ads will encourage more people in the LGBT community to consider wearing the badge. "I only need a few things from you," SJPD Chief Eddie Garcia said. "Once you qualify, I just need you to have a willingness to serve and willingness to sacrifice along with your fellow officers." Santa Clara County Supervisor Ken Yeager, who sits on the chief's LGBT advisory board, said the campaign is a brilliant idea. Officer James Gonzales is featured in one of the promotional videos. "That visualization of what my family looks like is going to be a big deal for people considering bringing their families into the police family," Gonzales said. Gonzales and Garcia will be out this weekend at pride festivities in San Jose. Yeager said he hopes the ads convince more people in the LGBT community to report crimes.